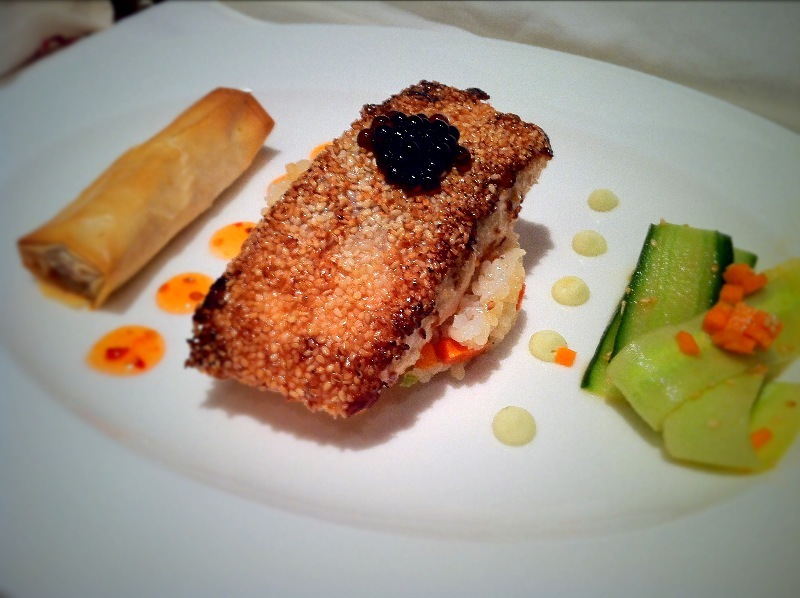 Sesame Crusted Miso Salmon with Soy Pearls. 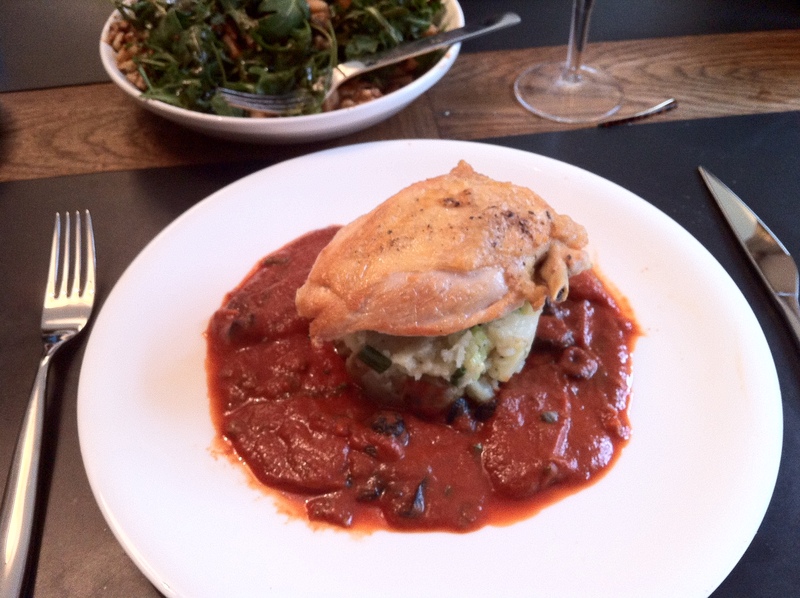 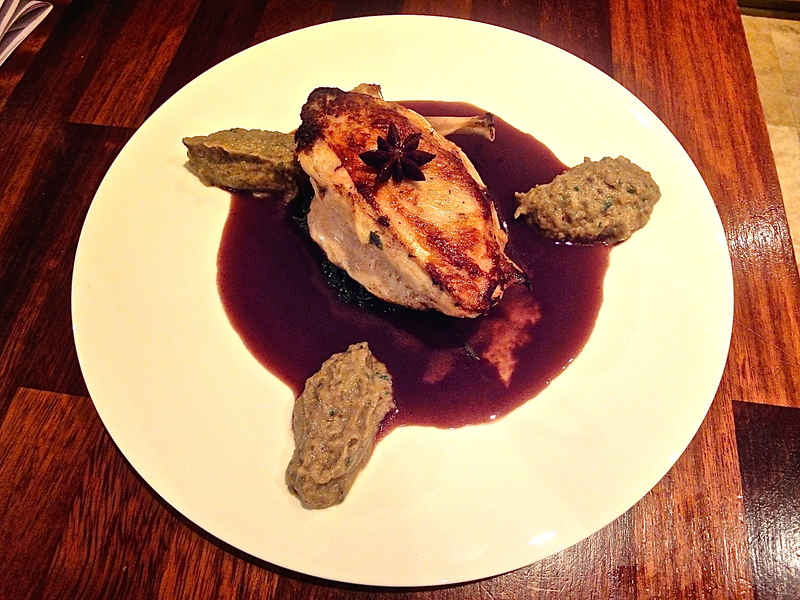 Chicken with a spiced red wine jus, aubergine caviar. 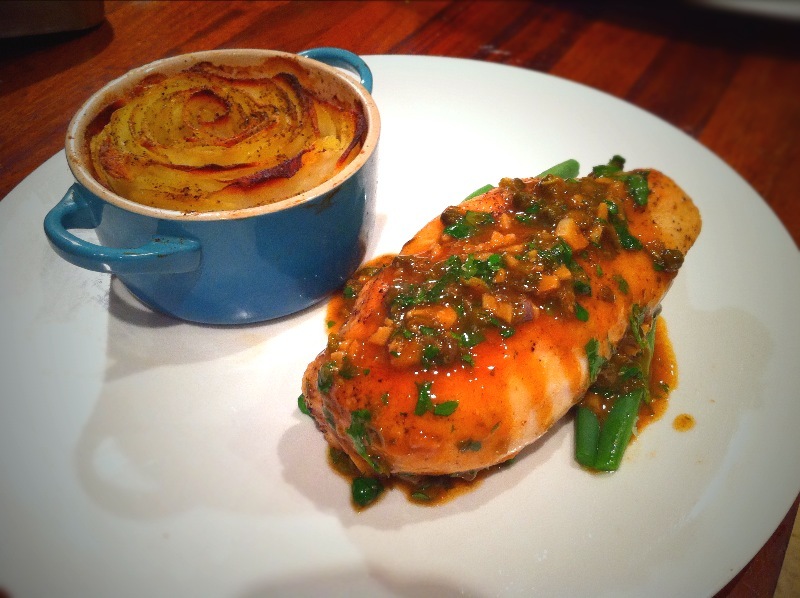 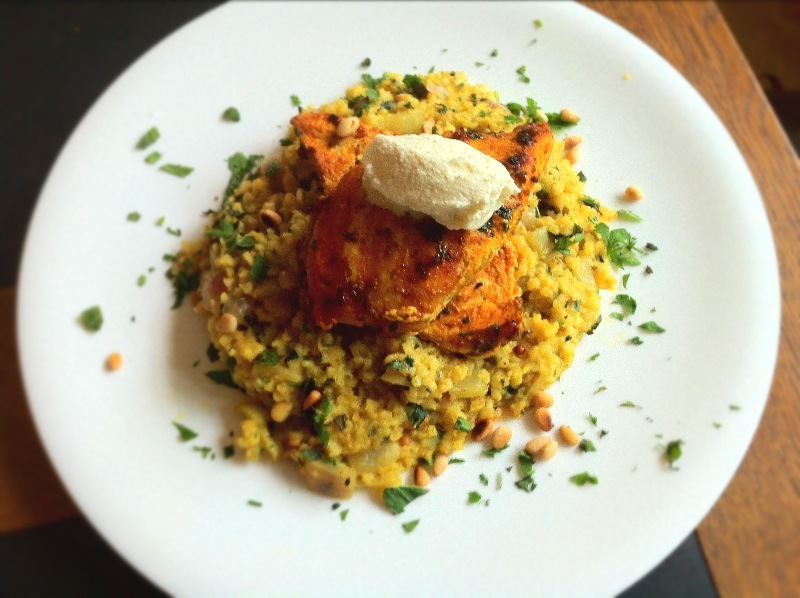 Garlic and Thyme Chicken, buttered Jersey Royals with Gorgonzola and pear salad. 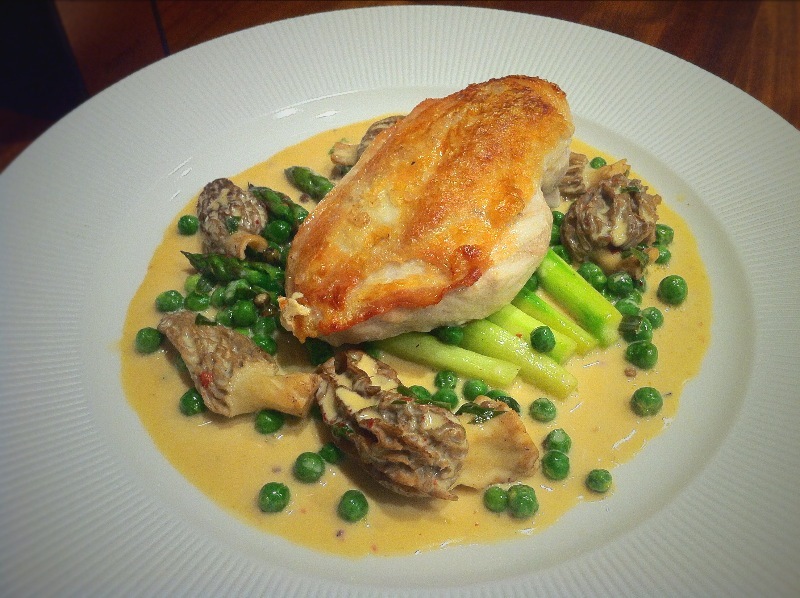 Chicken Supreme with a grape and tarragon sauce.